I'm not four years old so this is hardly a challenge for me, but I have to give them credit: it looks good, it isn't too tedious, and the recurring song has a definite "dinosaur" character...funkadelic-kraftwerk dinosaurs, maybe. In "match" mode, put the three dinosaurs in the environments that match their colours. 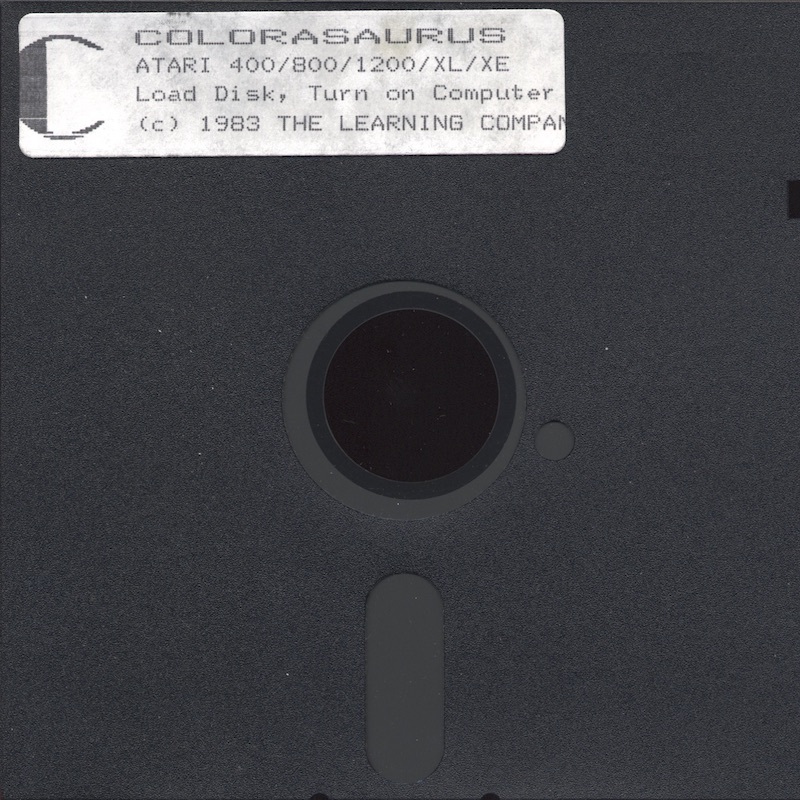 In "find" mode, put the dinosaur in the right environment, allow the computer to shuffle everything around, and then pick the environment again based on its colour. The real star is "colour" mode, which allows you to colour in a dinosaur shape. The colour blending is pretty cool and the way the colours are applied is perfect for kids: body parts, stripes, etc. The downside? Very little variety. It looks good, but it all looks the same. Maybe the dinosaurs went extinct due to boredom? And hey, what's with the ziggurats? Lert, R. / Conley, R.